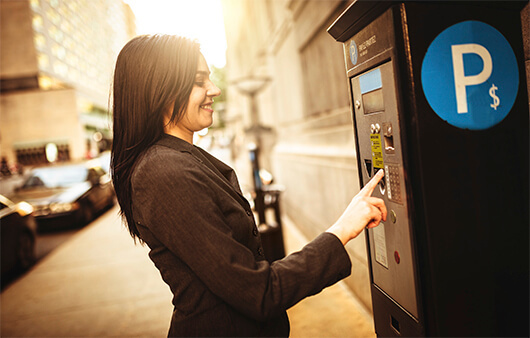 With the proliferation of automated parking garage payment systems and parking meters, the demand for pay station receipt paper and tickets continues to rise. Due to our extensive knowledge of the industry, our parking garage paper rolls, as well as pay & display tickets and receipts, are designed to perform flawlessly. We are able to match your requirements using standard papers to synthetic materials that can perform even under the most extreme environmental conditions. We also offer a wide array of custom options preprinting them specific to your company, city or university. It can be frustrating to both your organization and your customers when a parking printer malfunctions. Successful transactions can only happen if there is a properly imaged receipt printed and if this doesn’t happen, it can lead to incorrect charges, upset customers and uncomfortable confrontations. In order for a parking system to work effectively for both sides, the paper used must be readable and reliable. This is why you want to put your trust in Paper Roll Products® as we are committed to providing only the best papers specifically matched up to the printer with no cutting of corners. Browse our large selection of parking paper ticketing supplies, and other paper rolls available for each manufacturer and application. Not sure if we carry what you need? Browse our pay station rolls by brand.